HART (Henfield Area Response Team) was formed twelve years ago and is one of the first emergency responder units in the UK. It works in partnership with South East Coast Ambulance Service (SECAMB) NHS Trust and responds to emergency medical calls within the Henfield and District area, providing vital assistance to people who are ill or injured prior to the arrival of the Emergency Ambulance. 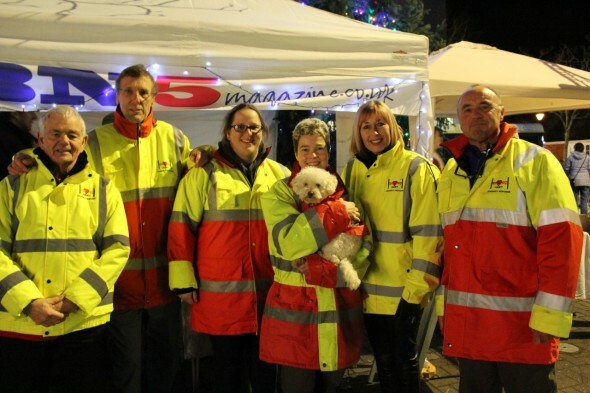 Comprised totally of unpaid volunteers, the scheme is totally self-funded and relies on kind and generous donations from local people, businesses and organisations and fund-raising events. The money raised helps purchase equipment and keeps the scheme operational. When a 999 call is made within the Henfield and surrounding area an Emergency Ambulance is dispatched to the scene. At the same time the Community Responder who is on duty is contacted and asked to attend. Because of the rural location of Henfield, community responders usually arrive first and can begin to treat the patient. We have also installed a number of Public Access Defibrillator (PAD) sites around the village. These are for anyone to use in the event of someone suffering a cardiac arrest. No training is needed to use a defibrillator as it is designed to talk the user through every step of the procedure and it is not possible to do harm if the procedure is followed. However, please always dial 999 at the earliest possible stage in this kind of emergency so that an ambulance can be dispatched and advice can be given over the phone. Do not leave the patient, send someone else to get the defib. Defibrilators are now located in many public places in the village. See Defibrillator Locations.